Former Toronto Blue Jays pitcher Roy Halladay, who died in a plane crash at age 40 in 2017, appears to be a lock to enter the Baseball Hall of Fame in his first year on the ballot. Results will be announced Tuesday night. Now that the former ace is eligible for induction into the Baseball Hall of Fame, Canadian players across the country and throughout the game's professional ranks — those who grew up with Halladay posters on their walls and No. 32 jerseys on their backs — are certain he deserves that honour. "It kind of showcases the fact that Canadians were blessed with the opportunity to watch one of the best pitchers in the world playing for Toronto's team," said Drayton Valley, Alta., native Shane Dawson, a former Blue Jays pitching prospect who played independent ball in Winnipeg last season. "I mean, we had the Michael Jordan of baseball in a Blue Jays uniform for 12 years. It's great that the baseball world recognizes that and can bring his dream and his family's dream to fruition." 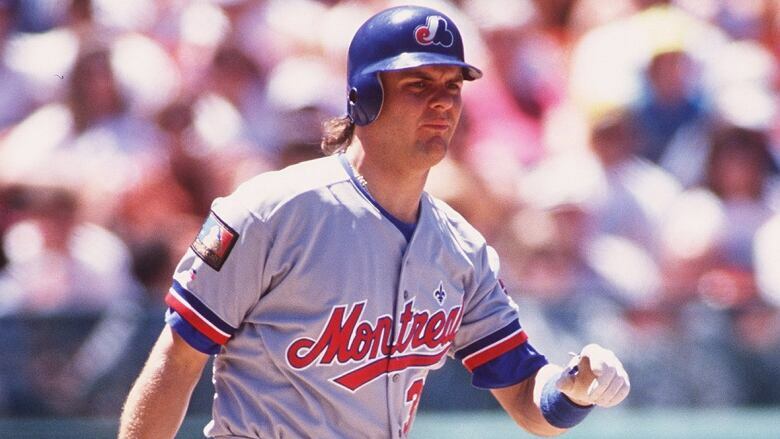 Maple Ridge, B.C., native Larry Walker is also on the ballot. While he's poised to receive a bump in votes in his ninth (and second-to-last) year of eligibility, the former Montreal Expos and Colorado Rockies outfielder may have to wait until 2020 to hear his name called. 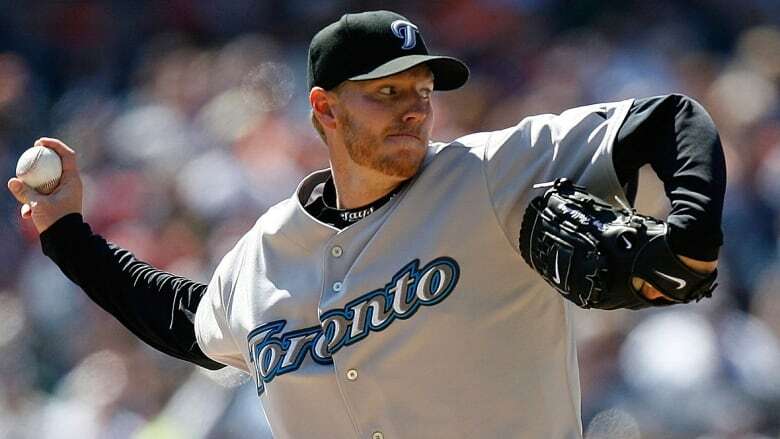 Halladay spent 12 of his 16 major league seasons in Toronto from 1998-2009, pitching more than 2,000 innings for the Blue Jays and winning the American League Cy Young in 2003. He represented Toronto six times at the all-star game — he appeared in eight overall — had three 20-win seasons and five with 200 or more strikeouts, and earned the NL Cy Young award with the Phillies in 2010 in his first season in Philadelphia. The towering right-hander signed a one-day contract with Toronto in December 2013 to retire as a Blue Jay, and Toronto retired Halladay's No. 32 on opening day of the 2018 season, four months after he died when the small sport plane he was piloting crashed into the Gulf of Mexico. "To hear the tragic news last year was very difficult, very hard to take," said Andrew Case, a Blue Jays pitching prospect from Saint John, N.B. "Watching [Halladay] from a young age was something special. "He was an animal on the mound. He wanted the best for himself and his teammates and he was always striving to be as great as he could." Should Halladay enter the Hall of Fame with a Blue Jays cap, he'd be just the second player to do so and first since second baseman Roberto Alomar was inducted in 2011. "He was a star during a pretty dark time for the Blue Jays, and he was the one who gave them a chance to win every time he went out there -- he gave everyone hope," Kellogg said. "For him to be a first ballot Hall of Famer, it would be very special for all the fans who grew up watching him in Toronto." "To be honest I was kinda happy [when he was traded] because it gave him the opportunity to potentially go out and win," Dawson said. "He was one of those guys who when they leave you're not burning their jerseys. You're cheering him on from a distance hoping he gets the chance to hold that championship trophy over his head." Halladay stayed involved in baseball after his retirement, helping coach his son Braden's former Florida high school team to a state championship in the last year of his life. He also spent time working with young pitchers in the Blue Jays and Phillies organizations during spring trainings and started a group text with a few of them to spread his knowledge of the game. Dawson and Case weren't in that chat and neither got the chance to meet him, though. "I heard about [the chat] from a lot of different people, how cool that was," Case said. "Any input he gave those boys is probably going to stick with them forever." Kellogg said Halladay's legacy will continue as long as young pitchers try to mimic his style and work ethic, like he did as a kid. "I watched him all the time, I had a Doc Halladay poster on my wall, and once I became a pitcher he was definitely one I looked up to," Kellogg said. "There's obviously differences in our mechanics but just the way that he went about his business, that's the guy you want to follow. "That's the guy you want to emulate your game after."